Ride in the bike lane with the flow of traffic. At night, you must have a light on the front and back of your bike. If you need a light, please see a police officer or stop by the police station. 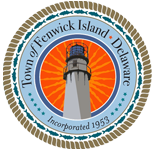 The Fenwick Island Police Department, in conjunction with the State of Delaware Office of Highway Safety, offers Bicycle and Pedestrian Safety Checkpoints during the summer. Visit the State of Delaware Office of Highway Safety for more information on this campaign. The Fenwick Island Police Department maintains a record of emergency contacts for commercial enterprises located within the Corporate limits of Fenwick Island. We strongly encourage you to complete the Commercial Emergency Preparedness Questionnaire. The Police Department will make periodic checks on your business while it is vacant. Information you provide allows us to contact you or your designated key holder in the event that the property may need attention. This program is a public service to help safeguard citizens’ property and allow for a rapid response and owner notification in the event of a problem. If you would like your business added to our list, complete a Business Registry form. The Fenwick Island Police Department’s House Watch Program is designed to provide peace of mind to our residents while they are away from home for extended periods of time, whether for vacation, illness, work-related travel, or other circumstances. The Police Department will make periodic checks on your residence while it is vacant. Information you provide allows us to contact you or your designated key holder in the event that the residence may need attention. The House Watch Program provides an overall increase in police presence around your home during your time away. Due to manpower issues and unforeseen circumstances we cannot guarantee the safety of your home or personal property, but the Fenwick Island Police Department will try to schedule extra patrols around your home during your time away. If you would like your property added to our House Watch list, complete a House & Hurricane Registry Form. For other locations, visit www.dea.gov and click on the drug disposal icon, and enter your zip code.